Fr. Bulatao, S.J. 's essay is a synthesis of Christian/Catholic theology and social science thus expectedly with a Christian spin in it, especially on this Part 2 of 2; posted here in its entirety for consistency, that is, as he has originally written it. However, I personally think and believe that [personal and social] ethics and morality do NOT necessarily emanate only out of having a religion or being a believer in a "God" (for us: the monotheistic Christian God as traditionally or Biblically understood or other). There are atheists, agnostics, pagans, non-Christians and what have you who were/are more ethical/moral and unselfishly act for social justice than those who are self-proclaimed or supposedly religious Christians of various shades: Catholics, mainline Protestants, Pentecostals or Evangelicals. In short, I believe in the possibility of a Godless morality, though I admit that it is much more difficult to attain. With religion that stresses fear of supernatural justice or retribution, then believers will tend to follow what they think or are taught as God's (or gods') will. It's been almost 40 years ago when at 19, I first read this enlightening essay on "split-level" Christianity by Fr. Jaime Bulatao, S.J.. Given the interest on Filipino ethical/moral values, I am posting it here. Fast forward today, I find that the given situational samples in the essay were quite "simple" and "mild." In fact, I find them almost laughable compared to the excessiveness and gravity that characterize "split-leveling" in current times. Anyway, the bottom line is that "split-leveling" by a self-proclaimed Christian is to be unChristian (vis-a-vis what I understand as being Christian from my years of Catholic upbringing). As to the Catholic Church, it is amusing, at best, to wonder why the Catholic Church, despite its dominant influence in the homeland, seems to have failed to instill what it always claim to develop: "the whole person," alluding to the so-called "higher needs" such as those theorized under Abraham Maslow’s Hierarchy of Needs”. Given the prevailing social conditions in our so-called only Christian country in Asia, they only demonstrate that the church, despite its proclamation of being the "church of/for the Poor," has consistently and continually failed in its mission to teach and lead the Filipino Christians to live its social teachings. Has our Catholic Church in the homeland been stressing something else than addressing our present social realities, of our illiterate, ignorant and impoverished majority? How come Filipino Catholicism is more concerned about its religious liturgy and tradition and personal piety than its proclaimed concern/message of social justice? Such attitude and behavior have only made our homeland Christianity an effective and efficient nurturer of hypocrisy among its hierarchy and followers. I initially posted only that part which exemplified "split-leveling" and labeled Part 1. However I have noted that the subject matter has been/is very popular among visitors. I now include hereunder Part 2, which deals with Catholic theology and social science/psychology to explain the "why" behind split-leveling and "how" it can be overcome, and with practical emphasis on the role of priest/minister as a facilitator/role model in inculcating authentic Christian/Catholic social morality in actual living/real life. 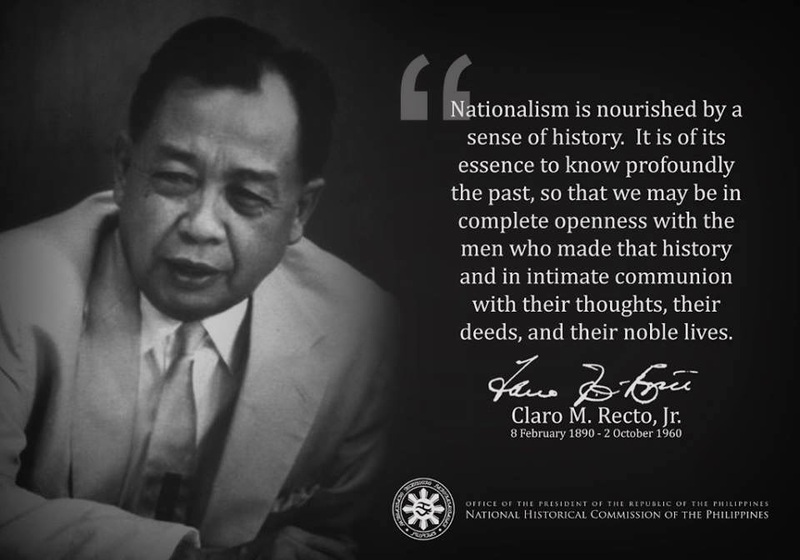 I guess the popularity of the postings on Filipino values stems from our desire for: learning, deeper understanding and finding solutions to the continuing national predicaments being inflicted on the lives of past and present generations of the native Filipino majority, appreciating and realizing that a significant part of the problem is ourselves (us Filipinos). I think and believe that many of our national problems are created and/or heightened, knowingly or unknowingly, by our so-called Filipino Norm of Morality. Let us hope and work for, in our own little way at the very least, this realization to come sooner (as it is almost too late), and recognize the need for changes in our Filipino traits and values: to employ the positive and dampen the negative potentials in our Filipino Value System, and appreciate the less selfish or higher need for a strong sense of national community which we desperately miss, expressed in terms of national unity, i.e. nationalism; the sine qua non for national progress, that is, the attainment of the common good. Why is the incongruence of the two levels not felt? A probable reason is the nature of the top level, namely its conceptual quality. It works merely in the realm of symbols, not of existential reality. Hence their is a feeling of unrealism about it. In Dr. Jocano's example, the respondent when challenged on the incongruity of his having agreed with the pastor on Sunday and his actual behavior during the week said: " That is what he (the pastor) has to say." There is a feeling that the authority figure is only saying what he says out of a sense of obligation, not because things are so. Only two contrary experiences can bring about awareness of the problem. As long as one side remains on the level of concept, the problem is not felt. The incongruence remains unconscious. Another way of looking at the same thing is to say that perhaps the culture lacks actual models in whom the split has been overcome. In their absence, society takes the split for granted as if it expected that people would always be so. Thus schoolchildren in Manila are taught not to cross the street while they see a red light facing them, but they take for granted that no one need follow such seemingly arbitrary rules, which apply to cars but not to pedestrians. Only when adults have learned to wait for the light to turn green before crossing the street --only then will the schoolchildren become conscious of the incongruity of running across a street while the red light is on, becaue by then they will have models within society who will teach them what the abstract school atmosphere cannot teach. But as long as incongruence is taken for granted as normal, it will remain unconscious. Why do the two levels remain separate? Modern psychology may give the answer. "Learning is specific to a situation." One learns a response to a particular stimulus, and does not give the same response to another stimulus unless the second stimulus is experienced as similar to the first. So too, where one set of responses, namely the top level is learned within a second setting, and the other set of responses, the lower level, is learned in a street and home setting, and as long as these two settings are dissimilar, the two responses will remain specific to their own milieu. Now, the setting of the Christian authority figure, especially the foreign missionary, is often quite different from the setting of home and street. Let us look once more into the concept of distance, not now as the consequence of split-level, but as an outstanding cause, for we seem to be concerned here with one of those deep vicious circles of a social institution. The distance between the authority figure and the home-and-street setting sets up two different stimuli-response systems, which create the split-level in the individual which in turn creates more social distance. What is this "distance" which the priest after ordination or other christian authority figure (nun, brother,minister, etc.) maintains from the milieu? First is the intellectual distance. The priest was brought up as an abstract, conceptual system of philosophy and theology which "jelled," reached its systemic form, in 13th century Europe. Undoubtedly, the system itself reached great depths of insight (e.g. Analogy of Being, God as Pure Act), but is large part had lost contact with the living stream of knowledge, especially the empirical sciences and modern arts. Many seminarians learn their philosophy by rote. Only a few acquire real insight, and even these find difficulty in translating what they learned in Latin into everyday vocabulary. A sad sight to see is that of a priest subiendo mas alla, using the language and concepts he learned in the seminary and gaining blank stares from a captive congregation. But even this intellectual gap could have been bridged if the priests had emotional ties with his congregation which would have permitted him to "take the role of the other." put himself in their place, and talk to them in the meaningful terms of their milieu. But the priest is either a foreigner,an outsider or a Filipino who was removed from his natural habitat at 11 or 12 and brought up in isolation from it. His emotional ties are for the most part restricted to his family. he lacks the emotional experiences to identify with non-relatives to successfully "take their role" within his imagination. he has to maintain emotional distance from them. Perhaps it is this intellectual and emotional distance which is in part responsible for the phenomenon noted above (cf. the incident on the bus) of an ambivalent attitude towards the priest. There is simultaneously a deep reverence for him as well as a semiconscious or even unconscious rejection of him. The culture which the priest rejected in turn rejects him. From the culture's viewpoint, he is not "one of us," not a member of the "kami." Hence the attitude towards him is one of ambivalence, one must please and placate him and at the same time one must find someway to be oneself, to express one's real drives and needs. Hence one puts him at a distance so that one can lead one's life at a deeper level without too much interference. As in most cases of enduring social phenomena, there is a homeostatic balance in society which keeps split-level Christianity going, a sort of vicious circle of mutually reinforcing stimuli. In this case, the pushing away of the Christian authority figure tends to bring about the failure of Christianity to pervade the mass. On the other hand, the failure of Christianity to pervade the mass results in the pushing away of the Christian authority figures. The authority figures pushes the "sinful" mass (the "world') away from himself (Noli me Tangere). In turn the mass, being distant from the sanctifying influence of the authority figure, remains "sinful." Undoubtedly, the term "sinful" must not be taken in its absolute, theological sense. perhaps "pagan" is a more fitting word. Perhaps it is more of the uncomfortable feeling such as that contained in the malicious, raucous laughter of the uncouth young men in a mob or in the eerie music of gongs coming from a Buddhist temple. But in any case, there is a gap between this pagan or sinful mutual pushing away of each other, a gap which reflects in the social area the split-level which is found in the individual. Such is the distance producing mechanism within the society. This mechanism in turn sets up other self-reinforcing mechanisms, of which we shall look at only one;: the authoritarian method of instruction. Since such a distance exists between teacher and taught, since the teacher is brought up on a fopreign, abstract set of concepts, and since he lacks the experiential knowledge which could permit him to translate the concepts in terms of experienced reality, his only recourse is to have his students learn these concepts by rote. Furthermore, since the students have not experienced many of these concepts within their own culture, the concepts for them degenerate into mere words, to be memorized and given back to pleas the teacher. And since the teachers themselves, because of the distance-making mechanism, have not experienced the full realities of their students' culture, they are further hindered from translating the concepts they possess into terms which will be meaningful to the students. They can not hold dialogue. They can only impose authority. Thus there appears the upper of the split-levels in the mind of the student, a level of concepts and words, interesting enough as bits of erudition but lacking the explosive power, the driving force of the "archetypes" of one's own culture. Thus it becomes possible to hold certain truths in the abstract, to look upon oneself as a Catholic rather than as an Aglipayan or an Iglesia ni Kristo and at the same time simultaneously be thinking and doing things objectively inconsistent with the abstract principles, and in the concrete behaving very much the same as the Aglipayan or Iglesias! Hence, students can agree in class that bribery is wrong and after class pay the policeman a five-peso bill to be let-off a speeding charge (five pesos is the accepted fine for students, one or two pesos for jeepney drivers.) Girls can promise their sodality mistress never to wear jeans, but outside the school nonchalantly wear somewhat less than jeans. An objective listener, hearing such inconsistencies, might say that sometimes the abstract doctrine is wrong, sometimes the students are wrong, and sometimes the teachers are wrong. But in any case, there is an obvious lack of integrity. What is needed is some inner process of growth by which a man can reject principles which he really believes to be stupid or on the other hand subject his thinking and behavior to principles which eh really sees to be valid. Thus it can be seen that split-leveling is the way the Filipino learns to handle the opposing pressures of two distinct groups holding different values. He has to please both groups. Like a politician in the provinces who has to entertain simultaneously a group of mestizos and a group of local farmers and solves his dilemma by placing the mestizos in the sala on the top floor and the farmers downstairs, so the Filipino pressured by two opposing value systems solves his dilemma by keeping them apart and by simply ignoring the inconsistencies. His is an unconscious mechanism. The educational system itself conspires to keep the contradictions unconscious since the individual is rarely forced to think out his two systems, one in terms of the other. All he is asked to do is to give rote answers, to give what his teacher expects him to answer. At this task he is adept. Rarely is he placed in a situation such as in a class under a non-authoritarian teacher or in an ongoing discussion group where he is allowed to really be himself, so that in an atmosphere of intellectual freedom, supported by like-minded friends, he can reflect into his real feelings and reconcile them with his abstract principles. One might as a social scientist end this paper her. But as a Christian, one may venture another question: what can be done about split-level Christianity? Can we indicate some broad lines leading to its solution? The fact that Filipinos hold on to both levels is indicative that there is some value in both. One cannot now act as the missionaries of old, who burned everything pagan as though it were from the devil. Perhaps rather, by allowing more interplay between the two levels we can come up with something new, which will be fully Christian and fully Filipino at the same time. This interplay might well take the form of a dialogue between the two groups represented by the levels. On the social level the Christian authority figure must be closer to his people. On the individual level, the Christian system of thought and behavior must be allowed to sink into and pervade the whole man. While it is admitted by all that some kind of religious education is needed to obtain this end, it also seems fairly obvious that something more than the old type of authoritarian, stereotyped instruction, is badly needed. Increasing the conceptual pressure merely increases the resistance in the hearer. Like the wind in the fable which tried tr remove the man's coat by blowing and succeeded only in making the man wrap his coat tighter around himself, so also the torrent of words, meaningless to the 20th century listener, the stronger the resistance to it and the wider the gap between the teacher and the student, between the Christian thought-and-behavior system and the thing called "life." Pope Paul VI in his Encyclical, "Ecclesiam Suam," outlines a possible solution. Pope Paul says, "When the Church distinguishes itself from human nature, it does not oppose itself to it, but rather unites itself to it...The Church should enter into a dialogue with the world in which it exists and labors." Dialogue then is the keyword in the Christianization of Modern Man. By contrast to the Latinized, authoritarian, ethnocentric teaching of old, its characteristics according to Paul VI are: clearness, meekness, an attitude of welcoming the trust of the interlocutor, an esteem for the psychological and moral circumstances of the listener. "And before speaking, it is necessary to listen, not only to a man's voice, but to his heart. A man must first be understood, and where he merits it, agreed with. In the very act of trying to make ourselves pastors, fathers and teachers of men, we must make ourselves their brothers,. The spirit of dialogue is friendship and, even more, service." Here then is a possible line of action to close the gap between the Christian authority figure and the common mass, namely friendship, brotherhood and listening attitude. To prepare the social context for such as dialogue, there may be much to be gained from a distinct form of the Apostolate whose specific aim is to bridge the distance between men of the Church and an unchristian world. The priest has to take the initiative. Relying on his common humanity, he has to work with men on the common task s of everyday temporal living, of developing the community's material and personnel resources on welfare organizations. He has to sit on committees whose organizational structure is secular and built by seculars, and in which he has no power except what is given him by the democratic organization. he thus sits with his equals and participates in their life. He learns and he teaches, he gives and he takes. His apostolate may thus be called the Apostolate of participation, the participation of the clergy in the life of the laity. Such an Apostolate of Participation will mean a willingness to give up much of the "power" which historical and cultural evolution after Constantine has vested in the churchman (Congar, 1964). The priest may have to shed certain symbols, such as the religious habit, which set him apart and give him a privileged status. In turn, he gains acceptance among men, as a member of mankind, not as a guest. There must first come about a change of attitude in those who are the culture's authority figures. They must reflect in their own lives the model of the first teacher. Christ was incarnated, took flesh as a man among men. The priest must not be afraid to be a man among men. One must not thank God that he or she is not like the rest of men. In the Gospel the one who did so was the Pharisee. "Taking flesh" means being with one's own time and place, speaking its idiom, wearing its dress, weeping with it, and, by one's presence, sanctifying it. Congar, Yves,O.P. "Power and poverty in the Church". (Trans. Jennifer Nicholas) Baltimore, Helicon, 1964. Jocano,F.L. "Conversion and the Patterning of Christian Experience in Malitbog, Central Panay, Philippines" (Philippine Sociological Review, 1965, 13, 96-119). I agree with all that is written in Father Jaime Bulatao, S.J. 's essay.. Such a long essay! but, it does signify the social realities of today , though this has been written several decades ago. May I be able to open my mind to truths and at the same time have the courage to do so. What we need is the actualization of the concepts we have learned in school. I'm sure that schools do provide us with what is real and good, don't they?